One of the ways in which to tell if you have an authentic Constellation on your wrist is to match the case with the other components of the watch. In this post I review the major design styles of vintage Constellation cases and include a range of pictures that may help you in making more astute evaluations before purchase. I can not tell you how much I appreciate your blog as a great resource. I am intersted in collecting a few Connie Pie Pans for personal wear and enjoyment and found you to have confirmed a lot of the suspicions I had about the e bay market for these watches. Your comments on the above watches is greatly appreciated to see how you would analyze them from the information provided. Just a quick response Stephen. Your commentary was most helpful.I think that watch 4 was listed as an original unrestored dial. I caought the easy wrong crown on watch 3. Thanks Stephen. You can email by clicking on 'View my complete profile' and then clicking on email. You do so much for those of us lesser beings trying to learn about and preserve some of these works of art I am hesitant to suggest you do any more. 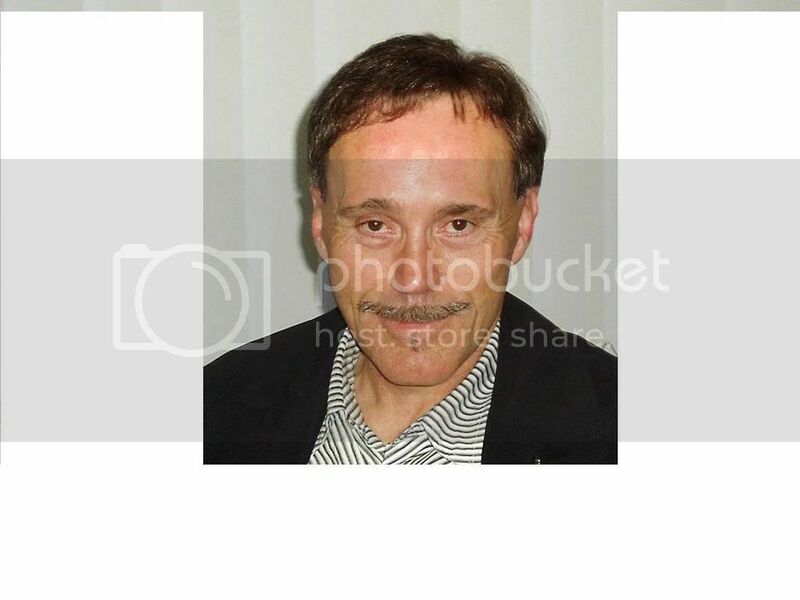 I must ask however, if you have ever considered posting a rouges gallery that simply lists clearly fraudulent E bay sellers. A quick reference for Constellation buyers. Such a listing could cause market forces to encourage good faith and fair dealing. I love your case by case reviews you do but a "list of bad guys" could have great impact. Just a random thought. Thanks as always. I have thought about it - Having a Hall of Horrors instead of fame and I may do that. Problem is that in each instance I must keep evidence to prove what I say about each of these characters....and maybe it would have to stand up in court. Actually, I suspect you only would need to do that if the vendors were based in Australia. Most are in America and Asia. All you need to do is keep one blatant example of each, disclaimer that it is your personal opinion and just check in on thier offerings periodicly. Option two is a master listing and periodicly note auction numbers that show continued patterns of bad faith dealing with the public. Thats not such a bad idea at all. Have you come across a case number 14747-1? It is a SS case with screw back and pink gold medallion. Hi Ward, the 14747 isn't in the Omega database, however it is genuine and was the screw-in version of the 2943. Click on the 'about me' button and email me some pics if you like. 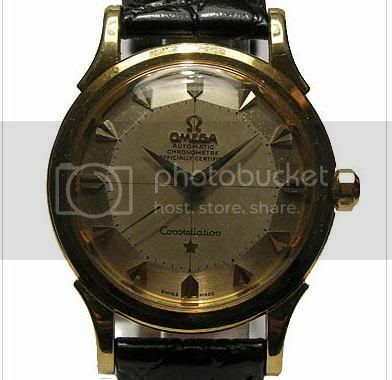 My Dad recently left me an Omega Constellation watch. He hadn't worn it for probably 20 years and it doesnt have a strap (although old pictures show it was gold metal.) I set the time and carried in my pocket, and after a day, it is still keeping time. It is a gold cap model that resembles the watch on page 11 of your id guide (case #14381/2) without the name (Turlem??) printed above the Constellation mark. I'm not keen to open the back myself to check the numbers inside, but would like to wear it from time to time. Advice as to whether I should research it further before simply putting on a strap and wearing it around? Hi The hands, Brighton, are incorrect for this model. I suspect this is either a cal 1011 or 1001 and I would recommend you not buy it unless you have a good look at the movement. If youre just starting out, I would look for a model with good investment potential and with a slow beat movement 18,800 bp minstead of a 28,800 beat per minute 10xx series Constellation. My suggestion is that you look for a calibre 751, day date, integrated bracelet model in good condition, pareticularly if you like the chunkier stainless steel models. These models (case number 368.0845) are a good buy and they have an excellent movement. my uncle left my dad an old omega watch. Both of us know nothing about watches. What I do know is it is old and belong to constellation collection with stainless steel watchstrap. It shows date and day one the top and it is automatic chronometer officially certified. How can I know more about this watch? Is it worth to keep? It woiuld be best if you send a pic to my email address - mondodec@tpg(dot)com.au - make sure you substitute the (dot) for a . - I do it this way simply to avoid a spam bot coming along and appropriating my email address to send out spam . waht do you think of this one. Real or very good fake? Does this connie look real? I really like it, but it's a jungle out there in the connie world. It does look real, but to fully authenticate it I would need to see closeups so as to confirm the dial is original...but it seems so. I bought the Omega Pie Pan which in the back cover there isn't serial number. So it is a fake one. Maybe, but some French examples do not have the normal stamping either. Also, your case back may have been substituted at some time. So all is not lost until you do a complete examination of the watch. if the cap doesnt match the color of the watch is that a problem? I'm assuming you are referring to the crown or winder? While not a problem, it's more aesthetically appealing to have the same colour crown. Sure. Happy to. There were a number of different models in 1963, and so if you click on the about me and click through to the email, you'll be able to attach a couple of pictures so I can conifrm the model. On the question of restoration, the last place I would send it is to an Omega service centre, who will want to onsend to Bienne for a very expensive and not necessarily sympathetic refurbishment. Hmm not a good refinishing job either. There are plenty of these models available in good condition, so my view is why bother with a redial when there are so many Real McCoys around. The watch in question is too pricey in my opinion.